Found another 4 seperate rabbit burrows. Most with fresh earth spoil and rabbit pellets on the outside. 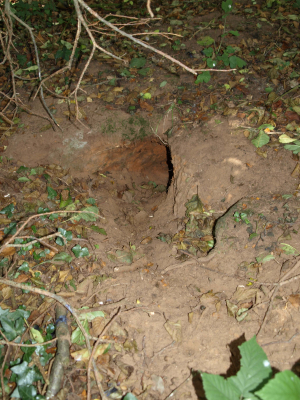 Attached photo burrow 3 shows a warren with 3 entrances.